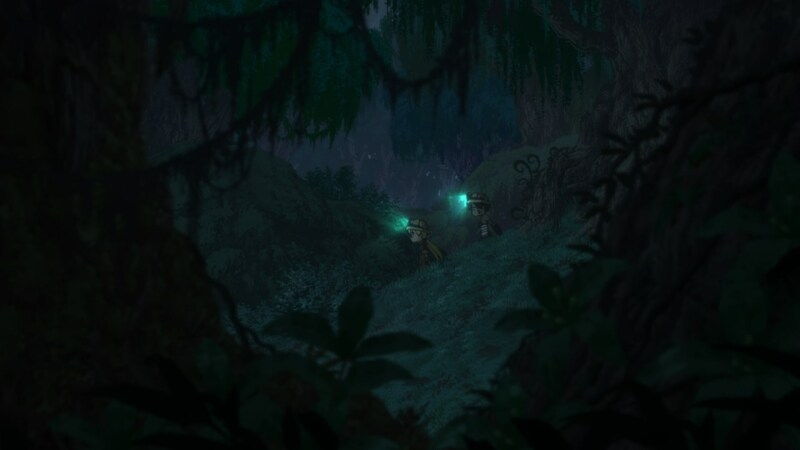 A lot to dig into this time around, as Made in Abyss had a perfectly solid episode followed by easily the best one it’s had since the premiere – oozing with atmosphere, and almost entirely key animated by a single artist to boot! — Last time I wished that Ozen’s presentation was a bit more ambitious, since as unsettling and imposing as she was, she didn’t quite have the screen presence to earn her title of The Immovable. This episode sort of addressed that relative issue, which is always nice to see; for the most part the framing still wasn’t all that inventive, but the tension during her emotional onslaught against Riko was palpable. 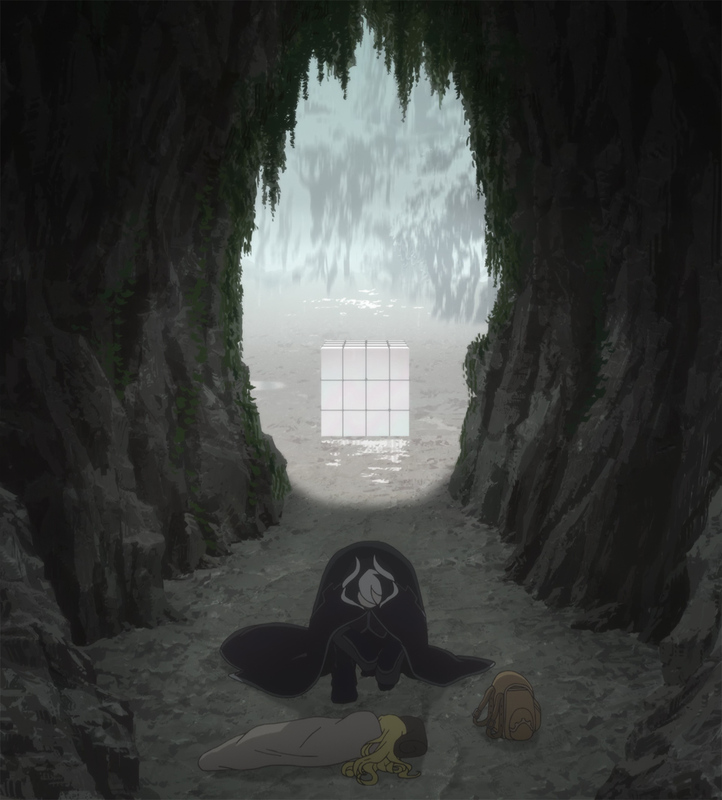 While it’s true that the adaptation still can’t measure up against the source material when it comes to the isolated shots of Ozen morphing into pure Abyss madness, the effect she has on everyone else was perfectly captured here. Trying to match the illustrative power of the source material is futile, but nailing the atmosphere – as this adaptation tends to do – is more than good enough. — The show’s delivery feels a bit more clumsy than usual on weeks filled to the brim with exposition. 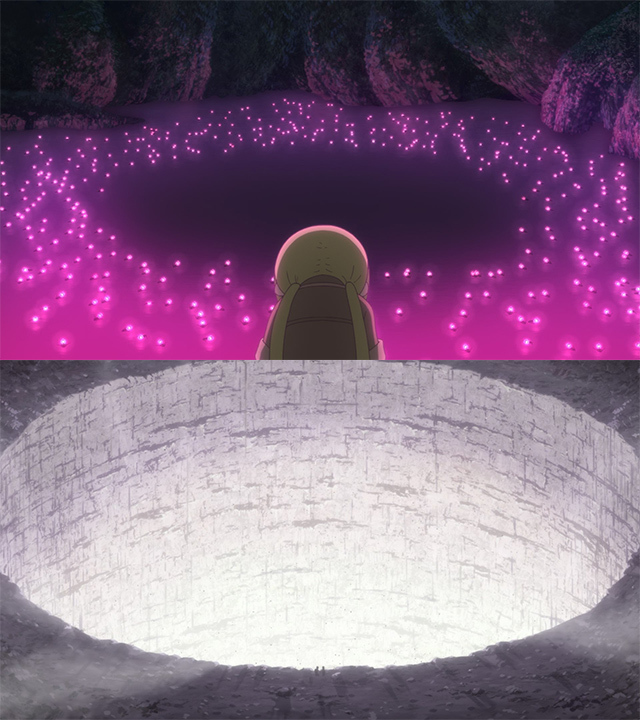 The reveal of Riko’s origin had the oomph it needed, but at some points the episode felt like a bit of a drag. As far as I’m concerned, the most eloquent episode in the whole series was its incredibly elegant introduction, so I’m always a bit sad to see it spell out things it had already made apparent. This is purely about the execution however – I don’t have an issue with the pacing and overall structure…although knowing we’re quickly running out of episodes is making me dread the likely non-ending. — Something else I had been speculating about was the active effort the production seemed to be making to always feature a series director directly involved with each episode. Seeing how this still holds true for this and even the next one, it’s safe to assume that the entire series will operate like that to maintain their cohesive vision. 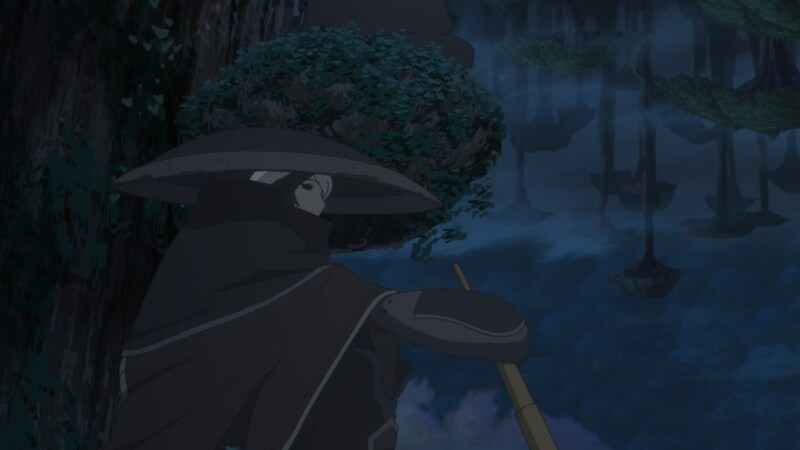 Takao Abo has storyboarded two consecutive episodes, each one directed by a different assistant series director; first Hitoshi Haga and now Iino, who happens to be a happy Ozen fan as he got to direct episode 7 and 8. It’s still the series director Kojima that brings out the magic of the abyss in a more fascinating way, but his assistants are quite reliable. 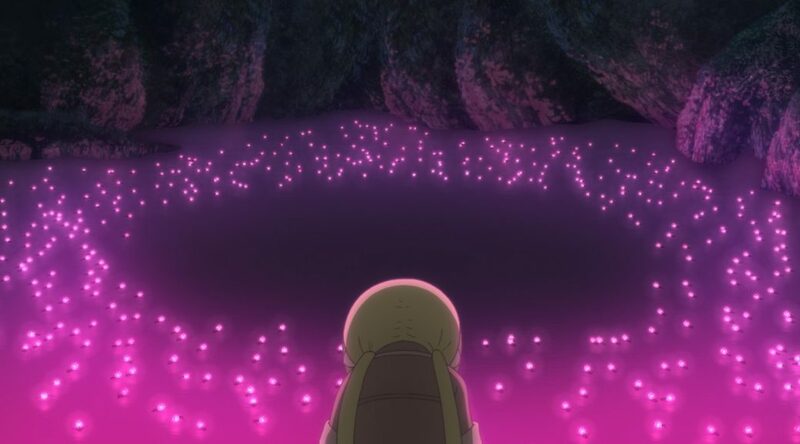 — As a final amusing staff note: right after I happily mentioned that every episode of Made in Abyss only required one actual animation director, this episode arrives with 5 of them. Even the leader of Kinema’s branch Gift-o’-Animation Satoshi Mori had to assist the main studio as the schedule gradually degrades. 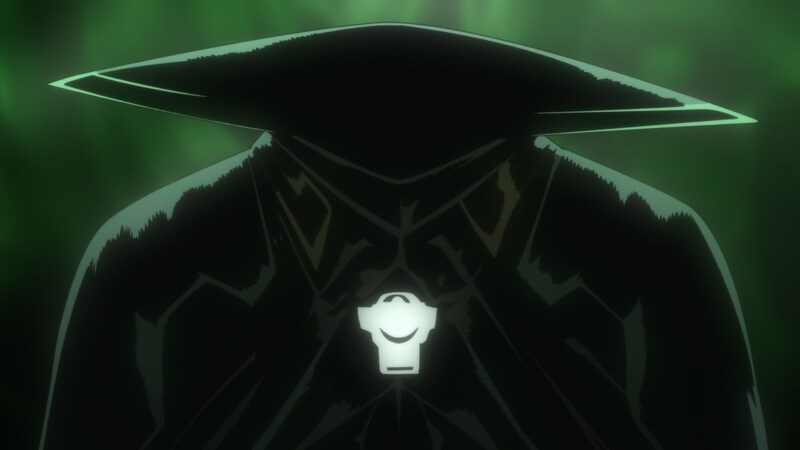 It’s been a bit of a trend amongst solid projects lately to hold on spectacularly for about half of their episodes, and then suddenly get notoriously messier – shows like Occultic;Nine and HeroAca 2 have followed similar patterns. This still puts them way above average however, so consider this a piece of trivia more than a sign of doom. The list of key animators has some notable names like china and Takayuki Kitagawa, but there isn’t much notable work to highlight. Overall, simply an alright episode. — Now that was a spectacular episode. I refuse to call it a return to form because I felt the series stayed solid even during its lesser moments, but there’s no doubt that this was on a different level. 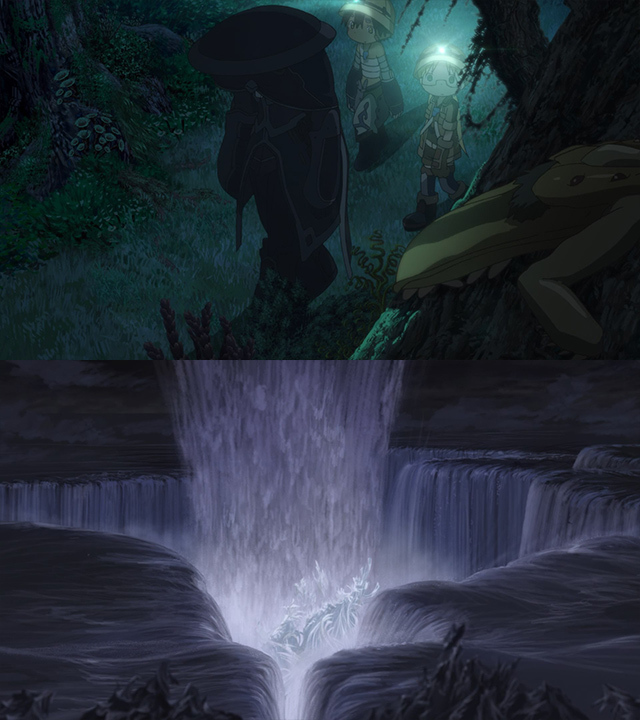 Masayuki Kojima’s storyboard was the foundation of this strength: returning ideas like the abyss within the abyss always drawing you deeper in, its claws trapping its victims, the voyeuristic view of Riko and Reg’s adventures (for good reason), the world’s verticality… The framing in general is excellent, constantly integrating the adventurers as organic parts of the world, marking the standing of the characters, and simply leaving a strong impression. 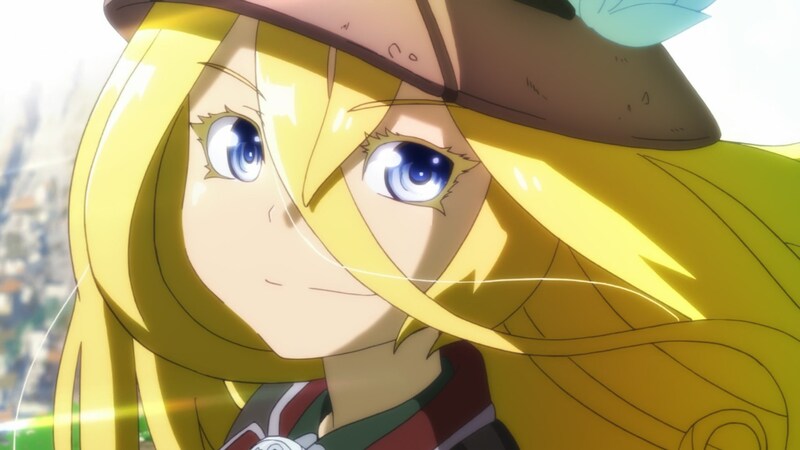 And of course, there’s also the way it built up to the fantastic ending; Lyza, who had been shrouded in mystery until now, makes a declaration of love to life that feels immensely bright in contrast to the abyss. Outstanding work all around. — Another reason for celebration was the exploration of new environments, which in this series is a reward in and of itself. Not only did they venture into new ecosystems, we also saw that world bathed in distinct fantastic and natural lights. Lighting is quite important for the entire team; just look at how the cloud gradually moves in the background, while its effect blocking the sun quickly becomes noticeable. It bears repeating that one of the major successes of this series is making the idea of a journey through its dangerous world so appealing. The allure of the abyss isn’t a just an abstract concept, as the viewers also want to keep exploring this mystical place. — I’d like to praise the immense confidence this production has in itself, as well as the seemingly excellent planning that justifies that attitude. This was an important episode by all means. Lyza had carefully been built up as a mysterious figure, and her first appearance truly under the spotlight couldn’t drop the ball. It’s no surprise then that the core directional crew had full control over the episode – nothing but the strongest lineup of creators for this occasion! And yet, with the permission of the older Yoshinari brother, this was essentially a solo key animation work by Yuko Fuji. She’s not a major figure in the industry so daring to trust her this much is already impressive, but keep in mind we’re also talking about the same Yuko Fuji who worked throughout the series and supervised the entirety of episode 5 just a few weeks ago. Not only that, but she’s also been making appearances on other series airing this season like HeroAca and Guru Guru. Since she has yet to transcend humanity, it’s clearer than ever that the show has carefully been prepared over a long period of time to ensure the highest quality this crew can achieve. — Before tackling the animation itself, let me get the data out of the way for those who are curious about precise inner workings. The episode director Iino tweeted a cryptic message as the episode aired which he then deleted – not fast enough, my friend – that seemed like it could refer to the distribution of cuts. Eventually, Yuko Fuji herself decided to share the detailed information: she virtually drew all the key animation in episode 8 (as well as the ending of episode 7, which was actually produced as if it were part of this week’s), for a grand total of 227 cuts, whereas Yoshinari handled the remaining 30 cuts since they involved his creatures. As animation director she supervised 90 cuts in the second half as well. It’s true that the presence of multiple assistant animation directors (a first for the show) and a bigger clean-up crew than usual hint that she couldn’t fully polish her work, but let’s not downplay her amazing achievement. In the end, the episode she almost fully key animated stands amongst the best in the series. Sure it doesn’t have the most spectacular highlights, but it’s still expressive and has its moments of high quality, delicate drawings raising the bar. Appreciation of individuals in this industry sadly (yet inevitably) tends to revolve around a select few, but episodes like this prove that there’s many creators flying under the radar who can easily stand on their own when given a proper chance. — It’s time for the Aninari Corner, a column that wouldn’t have been possible for any other anime since the unfortunate White Album anime back in 2009. Kou Yoshinari’s appearances on TV series are scarce at best, so seeing him show up with such regularity is nothing short of a sakuga miracle. 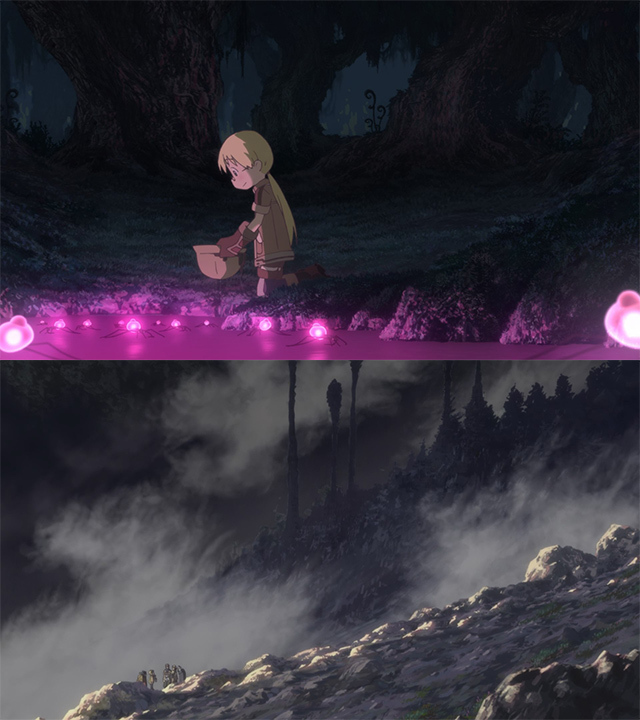 In his ongoing quest to give all of the creatures in Made in Abyss a unique feel, this week’s hypo fellow ended up looking bulky and volumetric in an almost 3DCG-like way; fans joke about his cuts feeling like CGi all the time, but that’s something he can exploit when depicting a monster that is a bit like a robot. I know his experimentation puts off viewers sometimes, but as far as I’m concerned, keep the bizarre creatures coming! Support us on Patreon to help us reach our new goal to sustain the animation archive at Sakugabooru, Sakuga Video on Youtube, as well as this Sakuga Blog. Thanks to everyone who’s helped out so far! 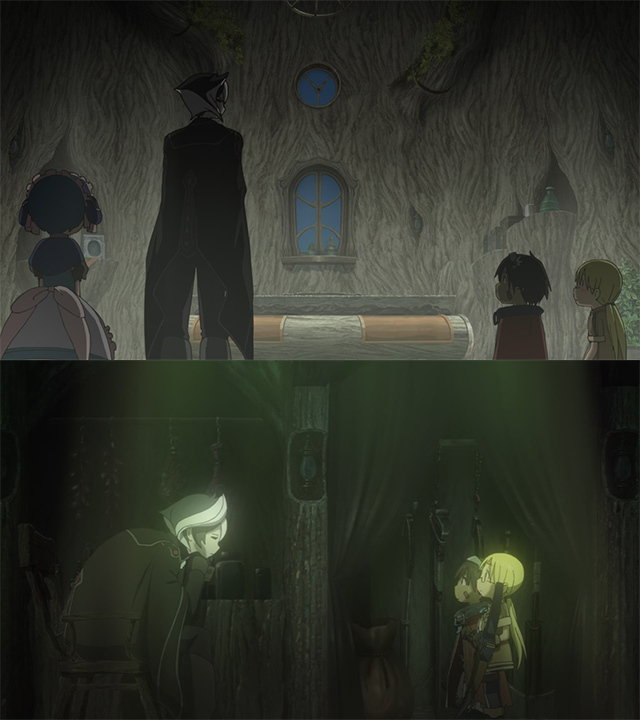 The anime actually rearranges the flashbacks involving Lyza – in the manga, they all take place in one sequence after the Ozen fight in ep 7. 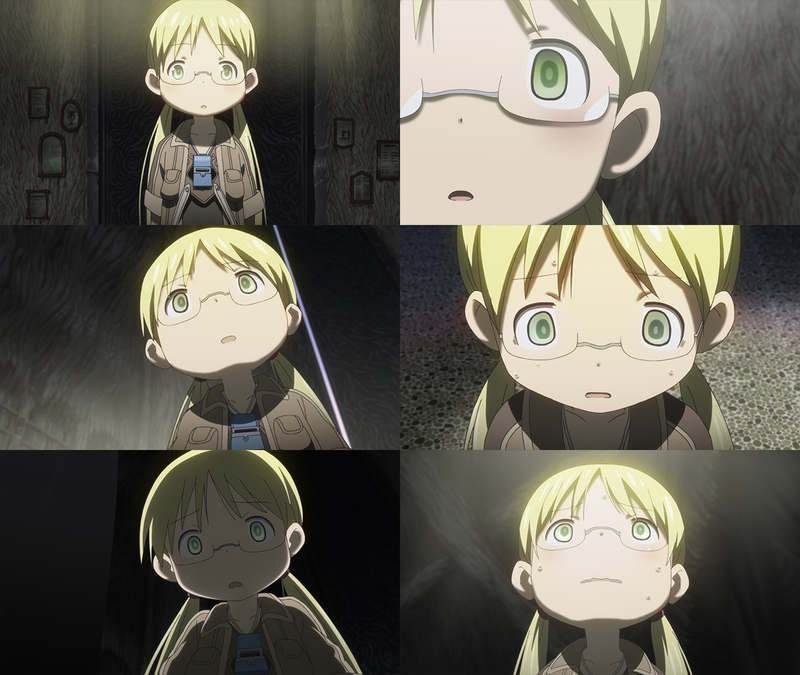 The decision to split it up into 3 separate sequences was a great one imo, especially in how the last sequence perfectly capped off Riko and Reg’s goodbye scene. Yeah, I thought the episode (and arc as a whole, in restrospect) was very well constructed. To the point that even if the final arc isn’t all that strong, I won’t mind since this already satisfied me.